Pasture Pure is a partnership between Greenhaven and B Zaitz & Sons, LLC. 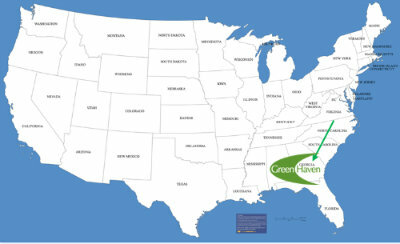 GreenHaven is based in Atlanta, Georgia. It is a 30 year old family business operating 7,000 acres of farmland with 10,000 head of beef cattle. Total land under management represents 35,000 acres, allowing for expansion. B Zaitz & Sons is a multi-generational agricultural development and operations business with operations in 4 states. Ben Zaitz co-founded Teays River Investments and was responsible for developing a 40,000 organic head dairy focused on private label retail supply. Prior to this, Ben Zaitz founded Farms Technology, the first online commodity trading platform for US farmers and sold it to Dupont de Nemours & Co.
Pasture Pure’s highly qualified managers have deep experience in raising cattle, pasture-based systems, land clearing, organic production practices and irrigation. Large expandable land and water base provides foundation for creating dependable national supply chain. Establishing nationwide distribution with a large retailer Pasture Pure’s objective is to establish a national pasture fed vertically integrated grass based beef supply chain. Cattle are raised primarily on irrigated pasture throughout the Southeast (Picture A). By focusing on large tracts of irrigated land, a consistent supply of high quality grass fed cattle can be supplied to chain stores and the food service industry. Initially, 50,000 head of cattle per year, yielding approximately 25 mil lbs of saleable meat, could be in production within three years. Cattle can be grazed 12 months a year on fresh pasture utilizing varieties of grass that grow throughout the year, along with supplemental feed. The Pasture Pure system would provide source verified, traceable cattle with proven grass credentials. End product price point, carcass size, and quality can be managed through the pasture-feed supplement program, ranging from all grass to grass-feed supplement, to meet customers needs. Pasture-based animal protein is a fast-growing segment for the retail food industry. Consumers are willing to pay premium prices for high-quality healthy products. Further, consumers are concerned about antibiotics, growth hormones, environmental sustainability, and animal welfare. Pasture Pure products would meet or exceed all expectations on these issues. Pasture Pure will obtain a pasture centered certification program called GAP: Global Animal Partnership Level 4. Currently there are no standards for pasture fed beef and the supply chain is dependent upon relatively small producers spread over the entire country with highly variable results depending upon season, farming practices, weather and location. Further supply chain logistics are inefficient. Consumers have no confidence in where there beef comes from or exactly how it was fed. The market is undersupplied, especially in the winter time when gains are reduced. The Southeast has large tracts of commercial tree farms that sit on top of ample aquifers to provide irrigation once the land is cleared. The Southeast temperate climate would allow for 12 months a year grazing unlike other parts of the country that rely upon more expensive hay, silage and grain for winter feed. Potentially, 50,000 acres of land in the next five years could be acquired cleared and converted to pasture. This land base would provide year-round pasture for a high volume of cattle. Pasture Pure is present in South East region and will grow its business to meet customer demand nationwide. Management team has track record of scaling up large supply chains. Cattle processing and packaging operations would be managed in-house, assuring quality and traceability. Marketing under store brand private label or Pasture Pure brand name. ©2016 Greenhaven Group, LLC The information reflected herein is derived from sources believed to be reliable; however, this information is not guaranteed as to its accuracy or completeness. This material and any view expressed herein are provided for informational purposes only and should not be construed in any way as an inducement to buy or sell commodity futures or options contracts. Trading futures involves risk of loss. Our private offerings are only offered via Private Placement Memorandum to qualified investors.